The views here are indeed heavenly. 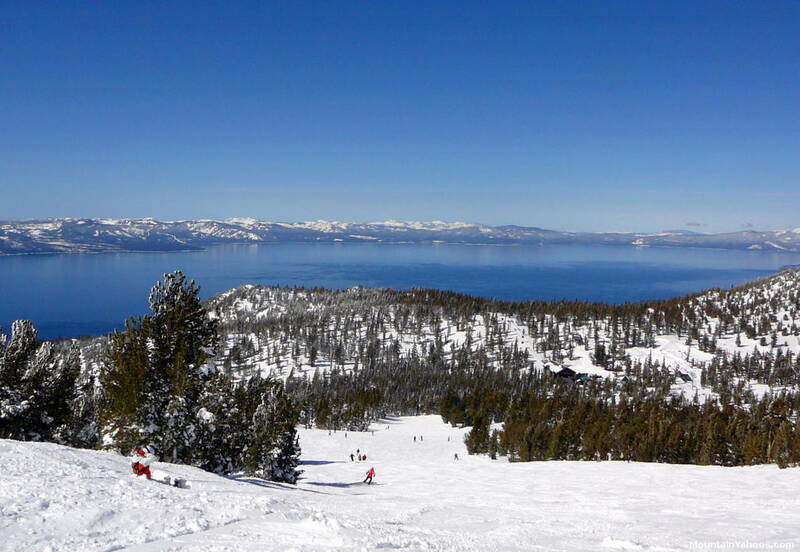 From the peak of the lifts and from many trails, the view of Lake Tahoe and the surrounding mountains is spectacular. 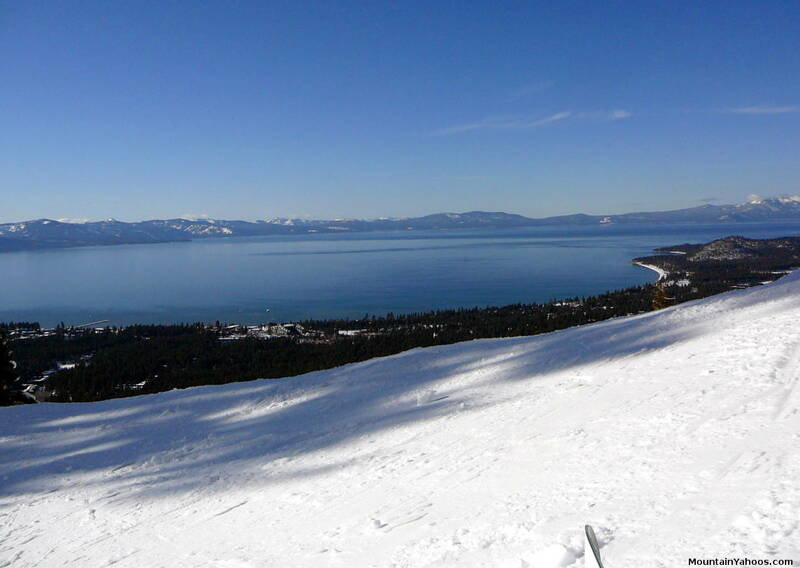 The Heavenly ski area is located along the south shore of Lake Tahoe and presents to you a view northward along the length of the lake with the surrounding mountains located snugly along its shore. 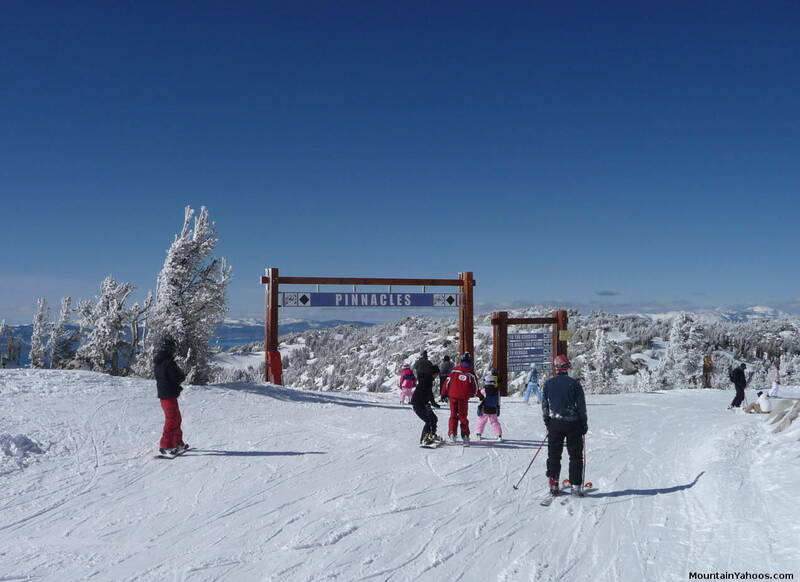 It also sits on the California Nevada border and many times in your ski day you will find yourself crossing the state line. The Nevada facing view is however quite different, it overlooks a vast dessert plain. Heavenly Village: This is the largest base facility and is in the heart of South Lake Tahoe, walking distance to the casinos. This base provides gondola access to intermediate terrain on the mountain and limited but expensive parking. Lodging here is plentiful and this base has a lot of activities for non-skiers. 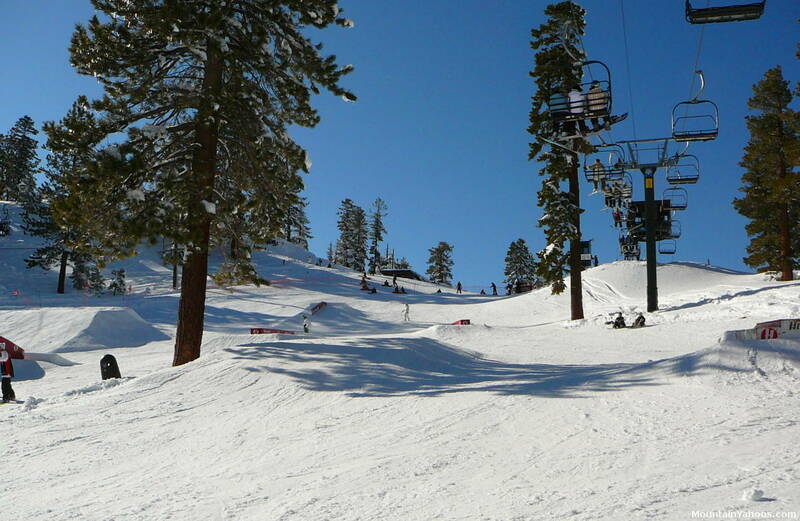 California Lodge: Lots of parking and direct access to advanced runs. Boulder Lodge: parking lot and easy runs are found here. Off of the main roads. 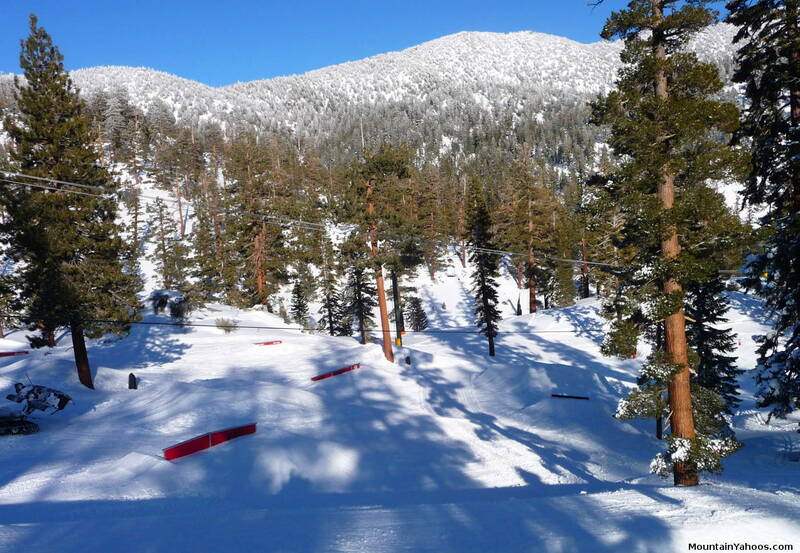 Stagecoach Lodge: more parking and easy beginner runs. Close to Boulder Lodge. There is a free bus which connects all four base areas. 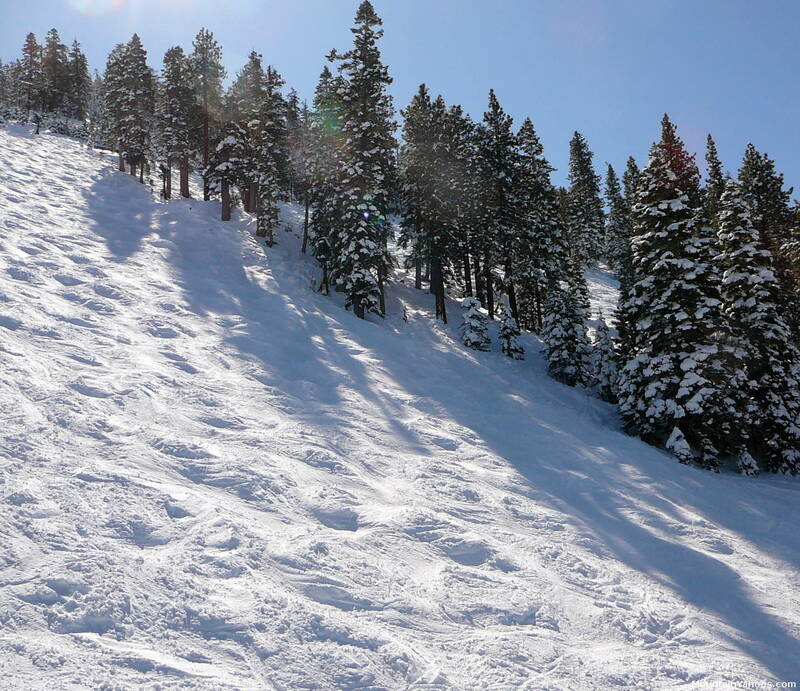 This ski resort has easy scenic beginner green runs to very extreme and challenging chutes. 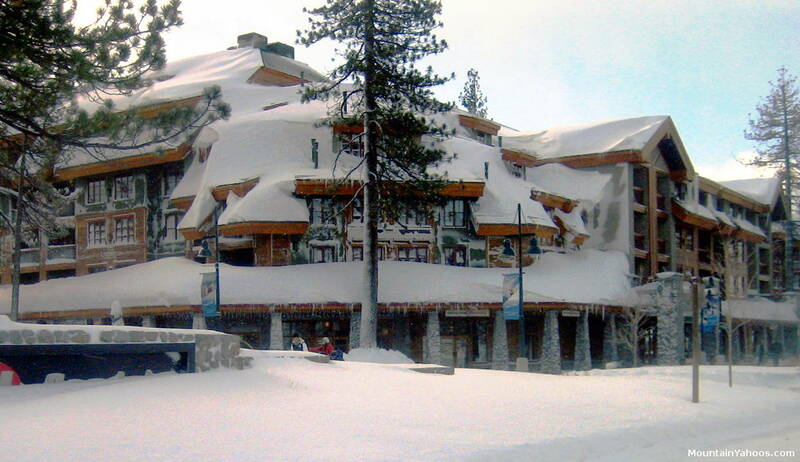 Heavenly is a large destination resort with something for everyone. 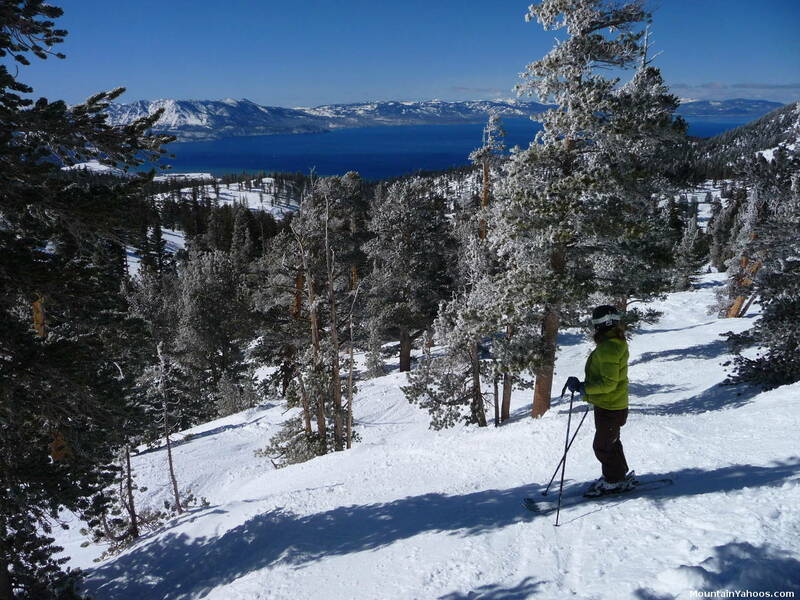 Heavenly Mountain Resort is owned by Vail Resorts and thus the Epic Pass is valid here. 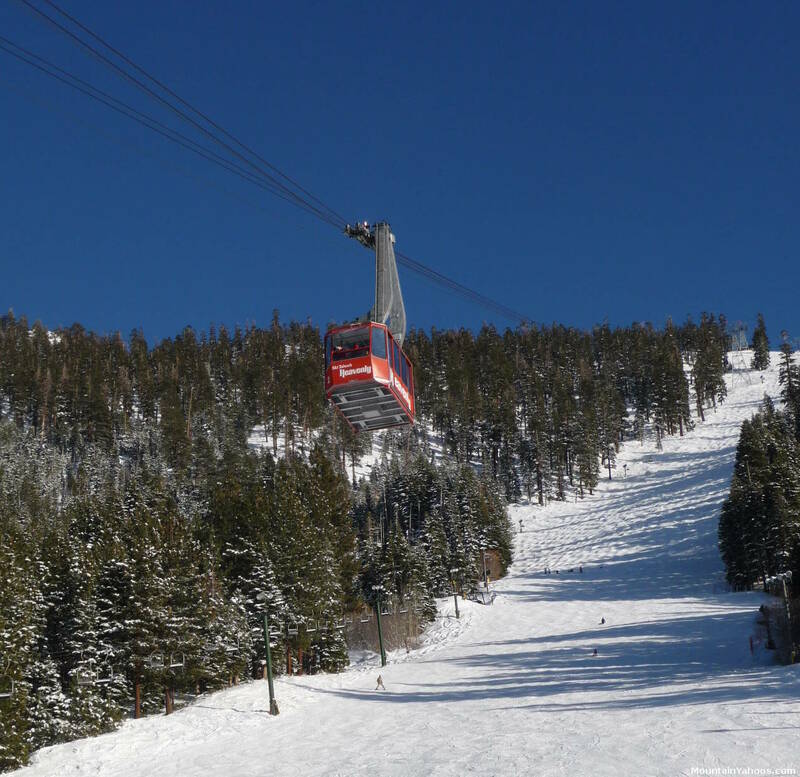 Located near the town of South Lake Tahoe and the Nevada casinos just past the California state line, there is plenty of action for the non-skier as well. 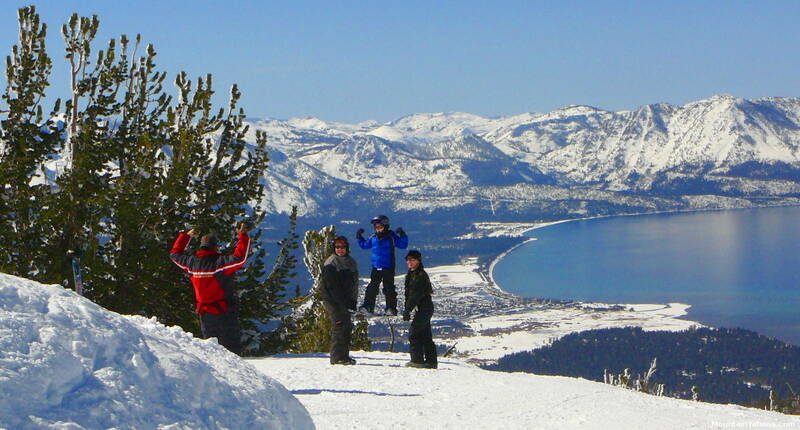 There is an abundance of beginner and intermediate terrain, much of it with a view of Lake Tahoe. 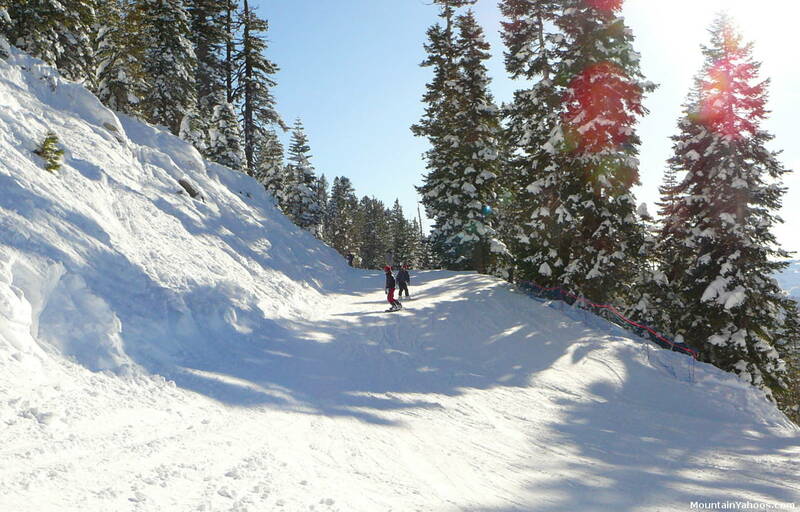 Heavenly has two magic carpet lifts for the tots and ultra beginners. Beginners should avoid the California Lodge base area as the lifts here serve advanced terrain and not many easy ways to return. Note that the view from the Nevada side is of a parched basin. The best of the extreme terrain can be found at the Eastern edge of the resort boundary shown on the far left side of the trail map. This is where the advanced double black diamond chutes, steeps and the wide open single black diamond "Milky Way Bowl" can be found. 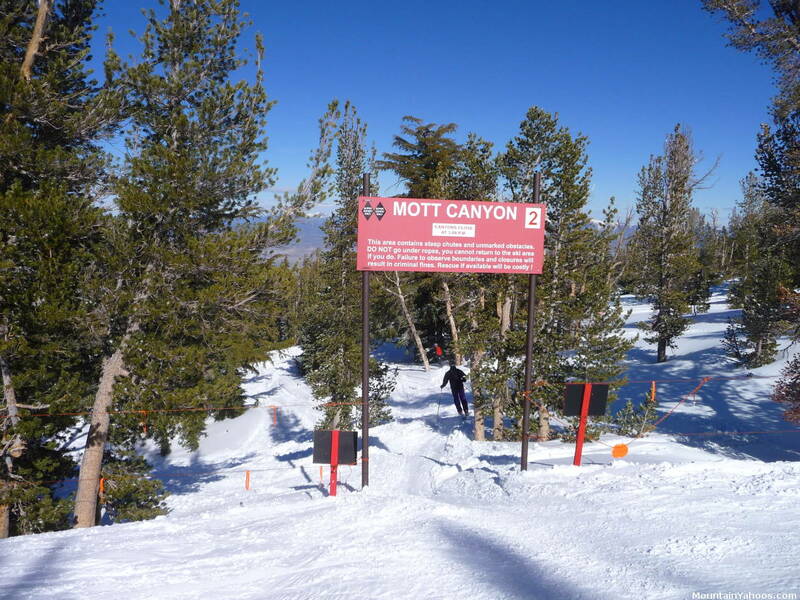 The chutes and slopes are accessed by taking the Dipper Express lift to the top to the gated entrances littered with lots of signs to "Mott" and "Killebrew" canyons. 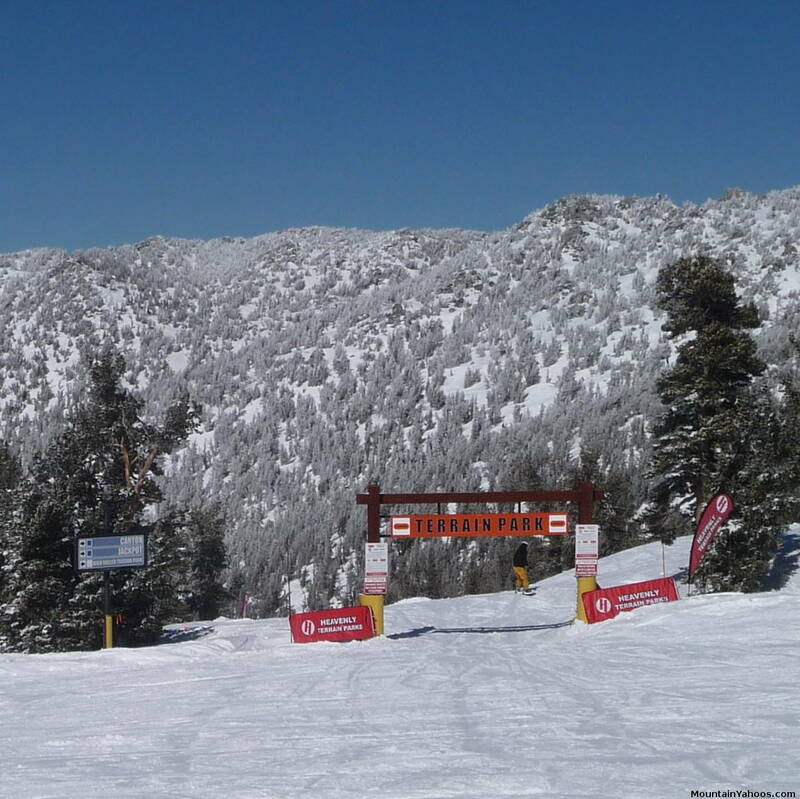 Advanced skiers will enjoy this section of the mountain if there is ample snow coverage. These two distinct canyons are identified by their gate numbers. Gates 1 through 6 will take you to the closer and more frequented Mott Canyon. These gates are the more obvious as they feed off of a blue trail which hugs the upper ridge of this canyon. All runs in Mott Canyon lead to the base of the Mott Canyon lift. One must take this lift to leave the canyon as there is no way to ski out from the bottom. The gates lead you to a lightly gladed area which eventually leads to the steeper individual runs. 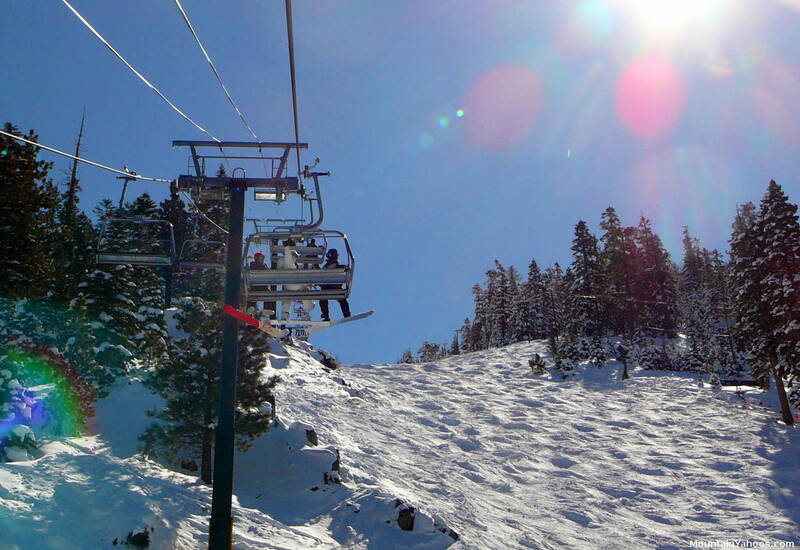 The easiest way down (and also the most heavily traveled) is under the Mott Canyon chair lift. The most difficult are accessed through gate one. Snake Eyes: take gate 1. One of the more challenging runs in this area. Widowmaker: take gate 2. Also one of the more challenging runs in this area. Hully Gully: take gate 3. Lightly gladed at the top. 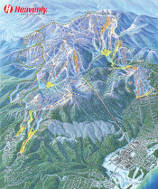 Mott's Lift Line: this is the easiest way down, more traveled and usually has more moguls. This is the most wide open run in the canyon. Pine Nuts and Southern Comfort: take gates 5 and 6 to the most gentle slopes in Mott Canyon. This is an easy way down for those who are adverse to steep slopes. This area is lightly gladed. Gates A through E will take you to the harder to find and more prized terrain in Killebrew Canyon. The runs in Killebrew are more difficult that in Mott Canyon as they tend to be more narrow with trees positioned in inconvenient locations. 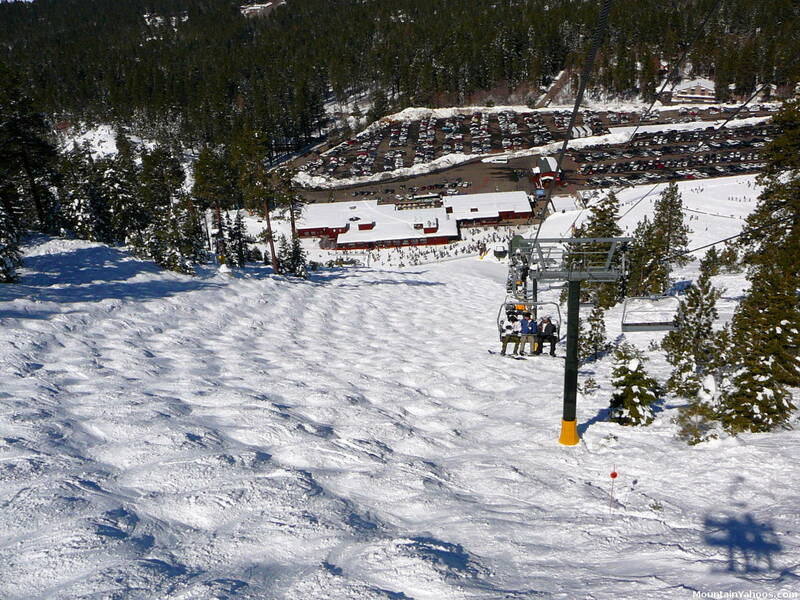 To get there take Dipper Express lift and following high across the middle of Milky Way Bowl to the appropriate gate. The traverse is significant and will take some time but it is also what keeps people away. It is also no fun on a snowboard. Traffic is very low here and powder can be found here long after a snowfall. Pipeline and Boundary Chutes: Take gate A to this steep run in the form of a half pipe gully. 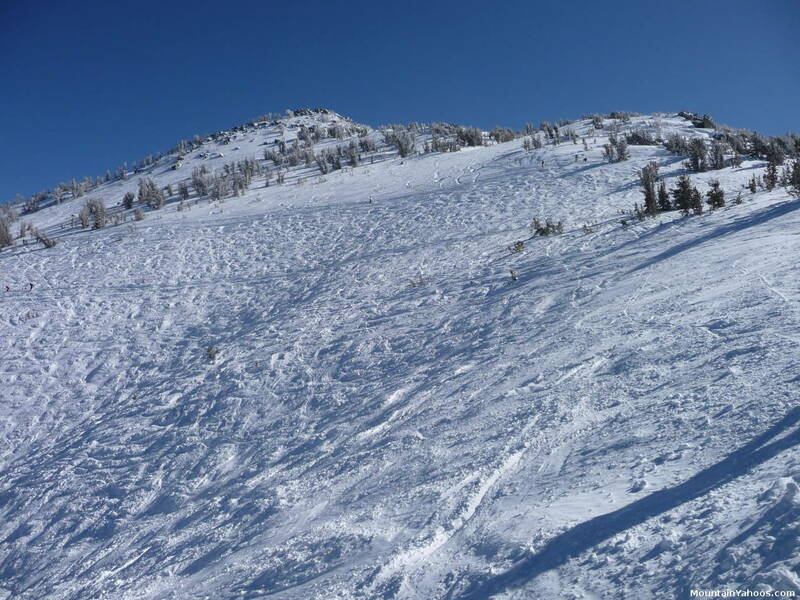 Ramarrah's: Named after a ski patrol named Ramarrah, this narrow chute can have many rock hazards at the top. Take gate A. The Fingers: Take gate B to get to this most difficult of runs. Most will want to avoid this run due to its unforgiving nature, trees, cliffs and obstacles. Stateline: Take gate C to this powder stash. 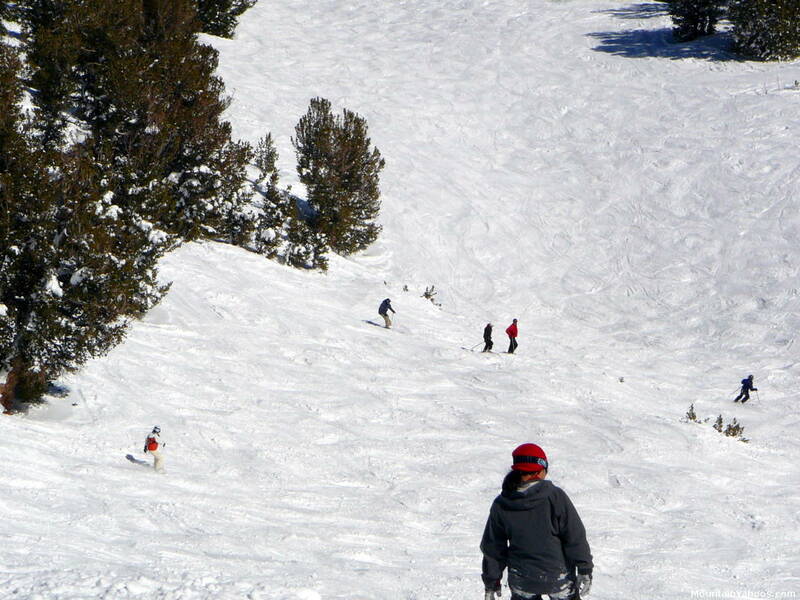 Bob's Boulevard: This is the most friendly of the chutes in Killebrew Canyon and thus the most skied. It is less steep and more open. To exit Killebrew Canyon, follow the traversing trail along the resort boundary to the base of the Mott Canyon Lift. This run-out is no fun on a snowboard. Mott and Killebrew Canyons: Note the traverse to Killebrew Canyon from Skyline Trail. Gate 2. The entrance to Mott Canyon is well marked. Advanced terrain on the mountain at the single black diamond rating is distributed fairly evenly around the mountain and it is well marked. The runs are cut through the mountain forest with the upper terrain brushing up to the tree line. This of course means that there are plenty of tree runs. 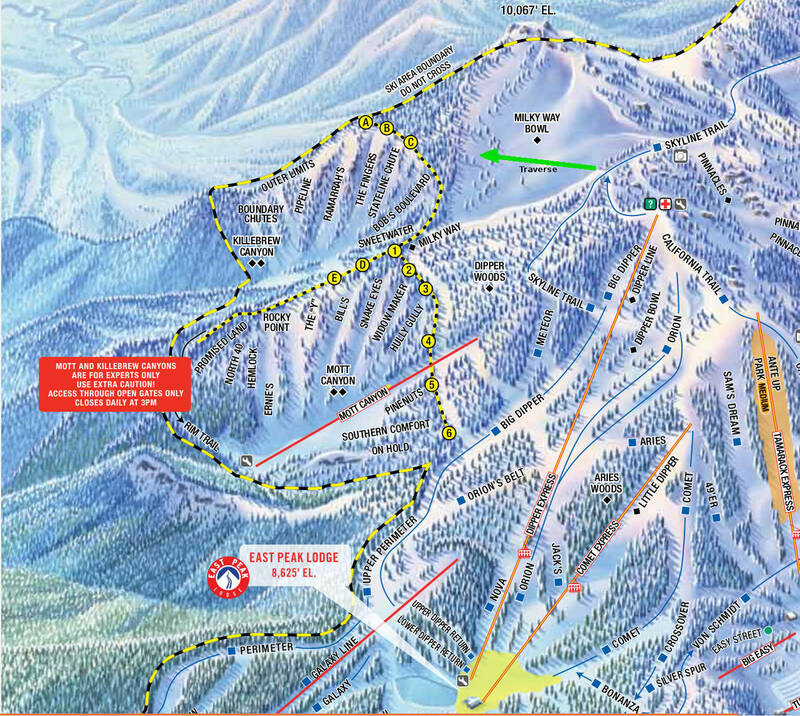 The two most notable tree areas are "Ski Ways Glades" off of Sky Express lift and "Dipper Woods" accessible from the top of Dipper Express lift. As with any resort with advanced skiers and a steep incline, moguls will form - lots of them. 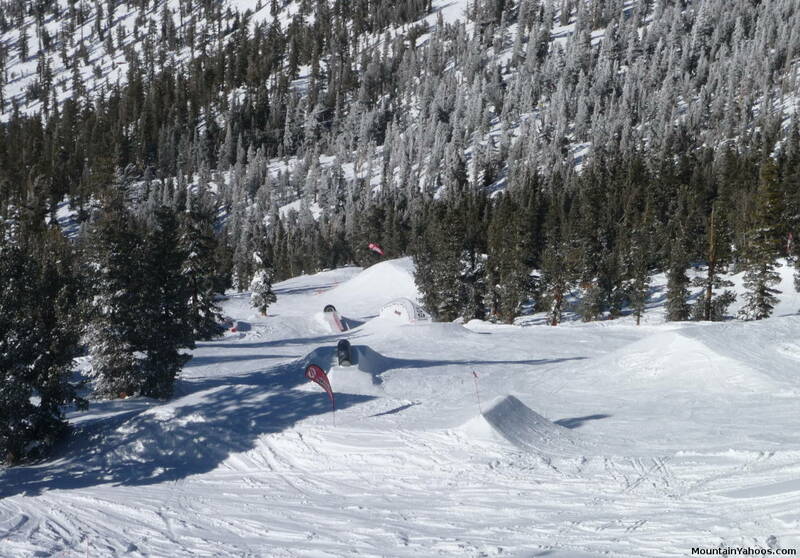 The resort's best known mogul run is "Gunbarrel". When accessing the resort from the "California Lodge", the run faces you with daring and taunting invitation to take Gunbarrel lift and ski it. The run is of a consistent incline which usually leads to consistent mogul formation. 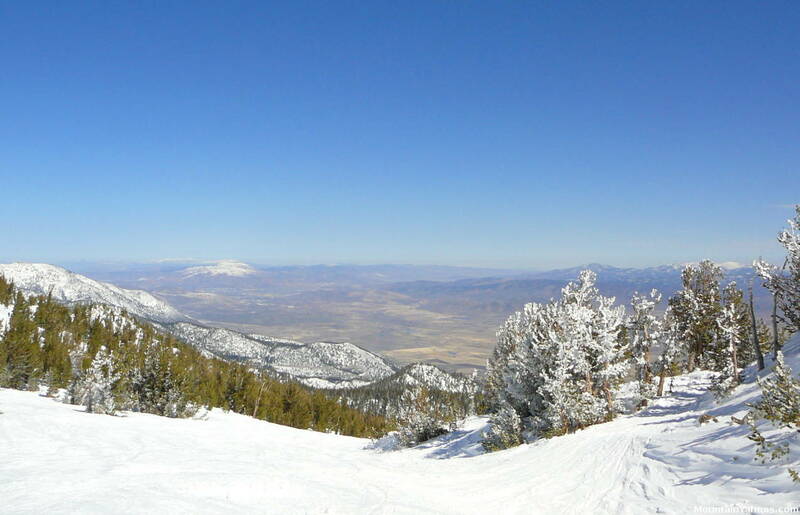 Looking down "Gunbarrel" to the California Lodge. Firebreak: Accessible from the top of Olympic Express lift. This tree skiing area leads to the base of the gondola at the village. Raley's Gulch: take a high traverse above Maggies Canyon. This gives access to the terrain on the Western side of the gondola. Leads to the base of the gondola at the village. Fullstone: this gate is accessed above Killebrew gate A. Requires a ride from the bottom on the Nevada side at Kingsbury and Foothill Road or make sure you hook back in-bounds to the Killebrew traverse to Mott Canyon lift. GPS recommended. All gates give access to tree skiing with lots of hazards. Lots of snow is required and may be problematic at the lower elevations. Do not go alone! These areas are not patrolled and the cost of rescue will be your responsibility. High Roller Park: more advanced. Accessible from Canyon Express lift. Ante Up: under the Tamarack Express lift (photos shown below). 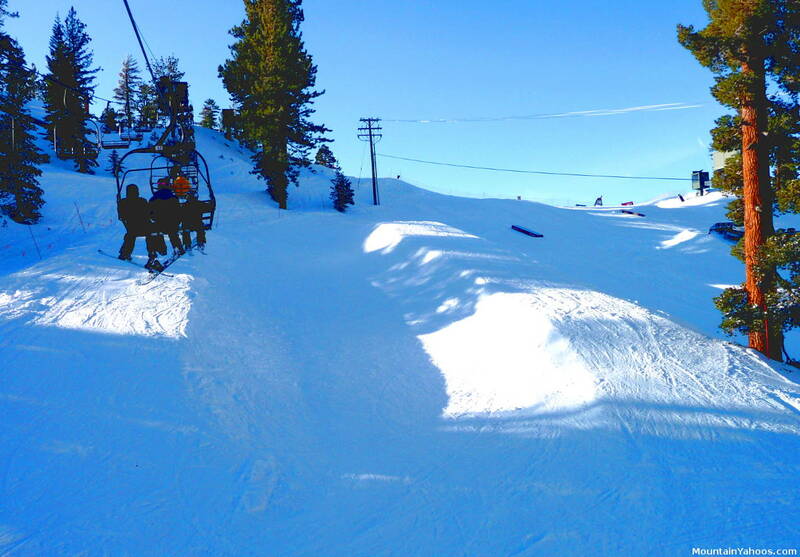 View looking down "Ante Up"
Half Pipe at "Ante Up"
Entrance to "High Roller" terrain park. Take Sky Express lift and "Ridge Run" to get here. The Heavenly base area in South Lake Tahoe offers the best shopping in the area and is in close proximity to the casinos and hotels. 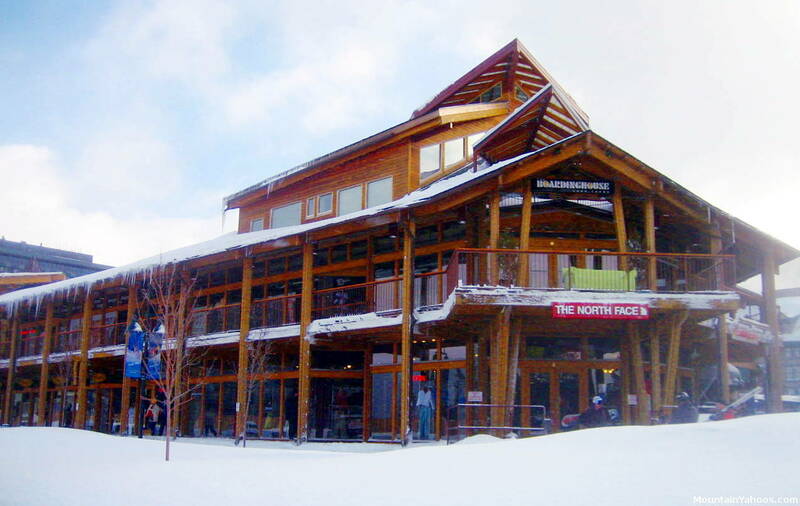 There are also stores and shops scattered throughout South Lake Tahoe with an eclectic mix of fashionable outdoor apparel, T-shirt shops, jewelry, art galleries and food. The village has an ice rink, cinema and mini-golf for those more inclined to activities.